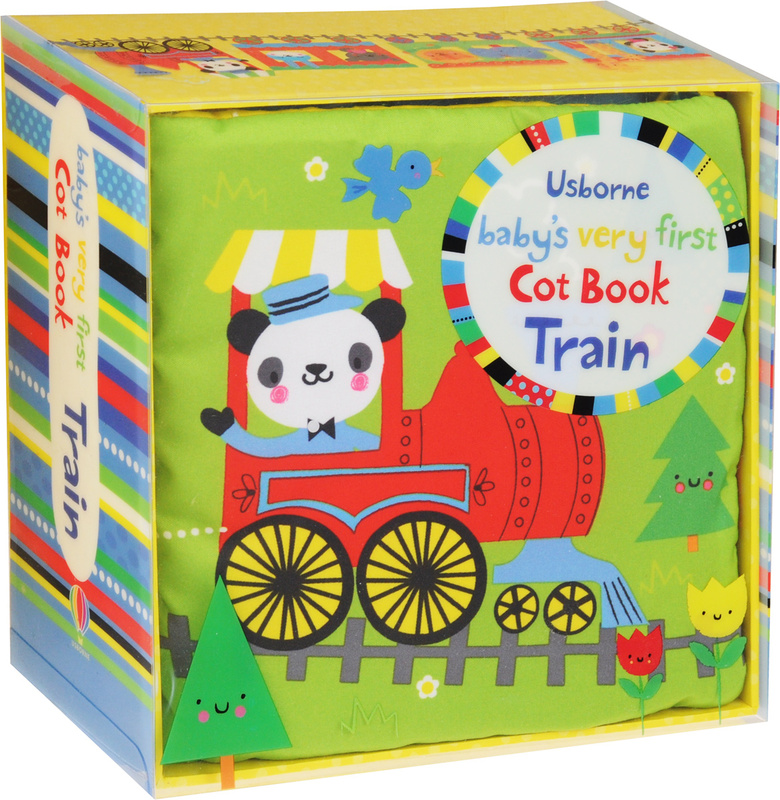 This soft cloth, concertina cot book is stuffed for extra squishiness, perfect for little babies to play with. The wordless pages are full of friendly animals waiting at the station and riding the brightly-coloured train. There are short ties to attach the book to a cot or baby gym, and a keepsake box too. A wonderful present for a new arrival.